PULLMAN, Wash. – Washington State University will offer new engineering degrees in the fall to meet the high demand for engineers and computer scientists in the state. New undergraduate degrees include the first construction engineering degree in the Pacific Northwest, a software engineering degree offered at WSU North Puget Sound at Everett and at Pullman, and an electrical engineering degree offered on the campus of Olympic College in Bremerton, Wash. A new online master’s degree in software engineering will also begin. The programs continue the state’s efforts to educate more engineers and computer scientists to meet industry needs. In 2011, a Washington Technology Alliance report found that while the state employs the highest percentage of science, technology, engineering and mathematics (STEM) workers per capita in the nation, it was near the bottom among the states in graduating students in STEM fields. To meet the demand, WSU’s Voiland College of Engineering and Architecture has increased its undergraduate enrollment by 65 percent to more than 4,500 students in the past seven years. The college also started engineering programs at Olympic College and WSU North Puget Sound. The new degrees will promote significant enrollment growth, while offering them in Everett and Bremerton will remove the barriers to higher education often encountered by place-bound and non-traditional students. WSU’s construction engineering program, which came about with overwhelming support from 150 construction and engineering contractors, will provide education in heavy infrastructure design, building design and construction technology. Because of significant changes in technology, global markets and economics over the past 15 years, successful construction companies increasingly need both the engineering and managerial expertise that the degree will offer. The design-build method of doing business creates a need for construction engineers in addition to construction managers within the industry. The new software and electrical engineering programs will allow students to complete their WSU degrees while taking classes near their homes or online. This addresses two major concerns for the state by providing more affordable and accessible higher education options for students and more engineers and computer scientists who are critically needed for the state’s economy. The software engineering programs will prepare students for developing and maintaining large and complex software with advanced courses in software development, testing and validation, maintenance, security and management and integration – all specialties of high demand among the state’s computing and IT industries. Bremerton’s electrical engineering program will train students in the design, research, testing, development and manufacturing of electronic systems and equipment, with specializations in general electrical or power engineering. The Everett and Bremerton programs will include a combination of local and Pullman-based faculty with courses originating at the local and Pullman locations. Students will follow WSU’s semester system and pay WSU tuition. A student team from WSU North Puget Sound at Everett participated in an engineering competition. Washington state and industry leaders are calling for more graduates in computer science and engineering as the industry looks for workers highly skilled in technology in the Puget Sound area. Answering the need, and with state support, WSU is increasing its computer science and electrical engineering programs at both WSU North Puget Sound at Everett and at Olympic College in Bremerton. Starting in 2016, WSU software engineering and data analytics programs will be offered in Everett. Meanwhile, a new electrical engineering degree will be offered at Olympic College. WSU’s North Puget Sound at Everett program has grown to more than 150 students since getting underway in 2010 with a mechanical engineering program. WSU was given management and leadership responsibilities at Everett with a focus on programs in science, technology, engineering and math. An electrical engineering program got started in 2014. A new 95,000-square-foot building on the campus is under construction and set to open by 2017. The $54.6 million project will include classrooms and laboratories, offices, and a public gathering space. Meanwhile, interest in the programs is growing dramatically. The programs even have fledgling professional student clubs. The Bremerton program has also grown since its start in 2010 when the state legislature, citing the need for engineers in the region, provided support. Puget Sound Naval Shipyard is a major employer in the area. Both the Everett and Bremerton programs allow students to complete their WSU degrees while taking classes near their homes. They address two major concerns for the state by providing more affordable and accessible higher education options for students and more engineers and computer scientists who are critically needed for the state’s economy. The programs include a combination of local and Pullman-based faculty with courses originating at the local and Pullman location. Students follow WSU’s semester system and pay WSU tuition rates. Several classes are broadcasted via video from Pullman, and students are required to take some laboratory classes on the Pullman campus during the summer. Upon graduation, they will have fulfilled WSU’s School of EECS degree requirements. In honor of a fondly remembered professor, Edmund O. Schweitzer III and SEL are making donations of $100,000 each to the Alfred and Nancy Flechsig Fund for Laboratory Improvement at Washington State University. Alfred (Al) Julius Flechsig Jr. passed away in August. He was a WSU alumnus (’57 BS EE) and a professor of electrical engineering at WSU for 42 years until his retirement in 2003. Flechsig did important research in the areas of power grid protection and was influential in setting up the Western Protective Relay Conference, a highly successful power industry conference. During those years, he also touched the lives of many students. Several generations of undergraduate and graduate students he mentored went on to gain prominence in the power industry and transform grid protection technology with the use of microprocessors and high bandwidth communications. Upon his retirement, the School of EECS established a fund in the couple’s name for laboratory improvements and to ensure that students have up-to-date labs for hands-on activities. The Flechsig fund supports upgrades of EECS’s power protection, power machinery, and circuit laboratories. In the past two years it has also supported the Protective Relay Lab, which provides hands-on experience in power system protection with substation equipment, tools, and engineering practices. When Washington’s governor came to Pullman along with Senator Maria Cantwell and Representative Cathy McMorris Rogers last year, they made two stops: one at WSU’s Energy Systems Innovation Center and the other at Schweitzer Engineering Laboratory (SEL) to learn about smart electric power grid innovation. Aligned from SEL’s earliest days, WSU and SEL have collaborated closely over the years, and their success has brought attention from local, national, and international policy and industry leaders. They have supported each other as they have grown in stature, developing state-of-the-art power grid technologies for the country and training next-generation power industry leaders. SEL has provided years of support to WSU’s programs. 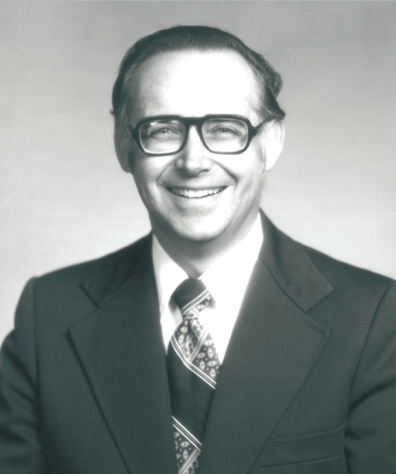 After completing his doctorate at WSU in 1977, Schweitzer came back as a faculty member to WSU. Based on the research that he conducted while a student at WSU, Schweitzer started his business in the basement of his Pullman home. In 1982, he left the university to devote his efforts full time to the company, which is headquartered in Pullman. Schweitzer invented the first digital protective relay that went on to largely replace the electro-mechanical relays traditionally used in the power industry for monitoring and control of electric power systems. The digital methods he developed and commercialized help to prevent, locate, and limit power outages more quickly and provide detailed reports that help users improve the system. Nearly every utility in North America uses SEL products, which can also be found in industrial and commercial power applications, and Schweitzer’s work to develop computer-based protection and control technology has led to safer and more reliable generation, transmission, and distribution for the electric power grid. SEL is one of the largest employers on the Palouse and contributes significantly to its economy. The company employs nearly 4,000 people and sells products in 148 countries. Meanwhile, EECS has also seen dramatic growth in the past few years. Research expenditures in the school have more than doubled to $7.6 million in the past six years, with about $4 million of that in power engineering research. Enrollment in EECS has also doubled to more than 1000 undergraduates and nearly 200 graduate students. EECS anticipated the growing interest in energy and strategically expanded the already strong power engineering program to 12 faculty members. That resulted in doubling the number of undergraduate and graduate students who go to work for the energy industry. The relationship between WSU and SEL remains close. In the past two years, SEL has hired more than 10 percent of EECS graduates—more than any other company. More than 200 WSU alumni work at SEL, and the company provides internship learning opportunities for many WSU students. Every year, the company also supports student senior design projects. Schweitzer fondly remembers the support he received at WSU. In the past couple of years, he and his wife, Beatriz, and SEL have provided significant scholarship support in the name of former professors, Clifford Mosher and Al Flechsig, and a street entrance into SEL was named Mosher Drive. Mosher was Schweitzer’s WSU academic advisor and introduced him to protective relays and to the university. Schweitzer has said that SEL wouldn’t have been created without Mosher’s support. SEL is also very generous with equipment donations, said Anjan Bose, Regents Professor in the School of EECS. A few years ago, for instance, the company provided students with an electric car for a senior design project and had them retrofit it as a solar-powered car. After the student project was completed, the company donated the car back to WSU for use in a renewable energy course. “The whole idea of an undergraduate lab is to provide hands-on experience, and by having the latest and best equipment from SEL, we can teach them better,’’ he said. 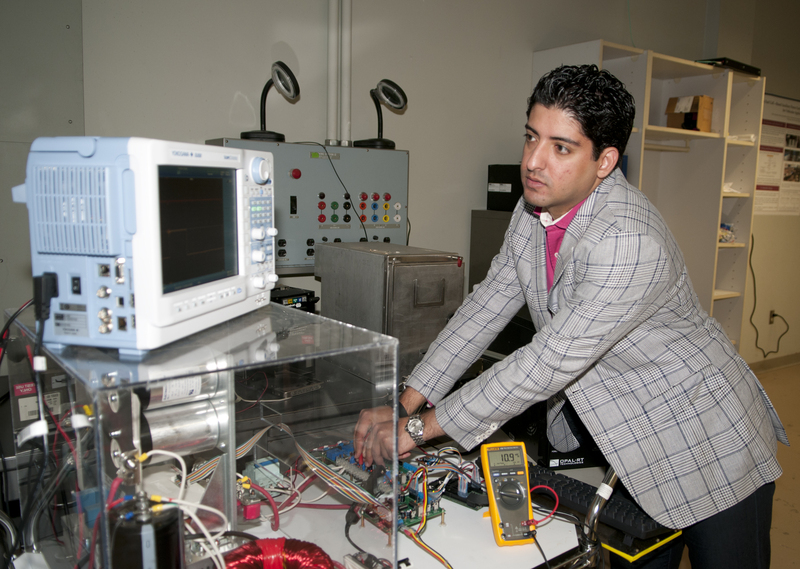 The company also supports the work of WSU researchers and graduate students in power engineering in areas such as health monitoring of substations and critical infrastructure protection. SEL supports a graduate student fellowship, which the school uses to attract top graduate students. With WSU and SEL working together, both entities are stronger and have been able to build their reputation as worldwide leaders in power systems protection and as a top power engineering program in the country, said Bose. “We have positioned Washington state as a leader both on the industry/business side as well as on the educational side, and we have strengthened energy infrastructure industries throughout the state,” he said. More than a dozen middle school girls joined in this summer’s “Learn to Code! Programming for Girls” workshops at WSU Pullman. The weeklong series of workshops was led by computer science graduate students Gina Sprint and Jessamyn Dahmen and aimed to encourage the girls’ interest in the field. WSU’s Broadening Participation in Computing Club received a grant last year to conduct the workshops from the National Center for Women & Information Technology and Symantec to introduce girls to computer science. In the course, Sprint and Dahmen presented engaging, hands-on programming projects and told the girls about research and career opportunities for women in computer science. “We want to break down stereotypes, give students creative programming experience, and inspire them,” said Dahmen. The WSU students will work with the Office of Assessment of Teaching and Learning to assess the program’s success. They also hope to make it an annual event and provide support in the future for students who want to attend. It’s no secret that while computer science offers great job prospects and interesting careers, attracting women to the field has been problematic. In fact, fewer women are entering computer science than a generation ago. Many women who initially have an interest in the field often become discouraged and quit. With continuing industry demand, especially in the state of Washington, WSU’s School of EECS is focusing efforts on bringing and keeping more women in computer science. Last year the school, for the first time, became active in the National Center for Women and Information Technology (NCWIT), a nonprofit group that is leading efforts to increase women’s participation in computing and technical fields. Students Rae Marks and Joanne Magtiby with Professor Shira Broschat. Working with NCWIT and its affiliated Aspirations in Computing program, the school will provide awards and scholarship opportunities for high school girls in computer science. The awards program has been shown to be successful in recruiting girls into the field. In part, it simply provides needed encouragement for young women to overcome prejudice and stereotypes that can keep them from pursuing the field. WSU will focus its recruiting efforts for the awards program with Spokane County high schools this year and expand to the Tri-Cities next year. The school also hopes to continue its Programming for Girls workshop. “We’re just beginning this discussion,” said Shira Broschat, diversity and curriculum coordinator for the School of EECS and the coordinator for Eastern Washington’s affiliation of the Aspirations in Computing program. “I want to keep adding cities each year until I’ve reached the smaller towns in Eastern Washington. Ideally, I’ll end up making it everywhere east of the Cascade Mountains!” Once they get to WSU, the school is also making a concerted effort to keep women in computer science. The school, for instance, is working to provide a gathering room for women computer science students. Having a place set aside for women has been shown to help them stay in male-dominated programs. At the same time, students in the women’s WSU chapter of Association of Computing Machinery have begun mentoring all female students in the program. The club is one of two new groups in the school that are tailored specifically for women. The school has also begun working with introductory programming course instructors to make classroom and lab environments more supportive for women by, for instance, bringing female students together in lab sessions. Usually, women drop out from computer science and engineering programs because of the lack of support around them, but not because they can’t succeed in classes, said Arslan Ay. And, the school is making progress in having its introductory computer science course satisfy university wide requirements by next fall, meaning that a larger and wider variety of students could get exposure to the field. The school will be carefully tracking its efforts. “As a female computer scientist, I have experienced the same problems that today’s computer scientists have,” said Arslan Ay. “But, we need women in computer science and engineering; I would like to help the new generation of women become aware of their qualities and not let anything stop them. Professor Ali Mehrizi-Sani is studying microgrids to help keep the power on during catastrophic events. When a natural disaster strikes, the failure of the electric power grid often makes the catastrophe even worse. WSU researchers were part of a team who received a $1.2 million Department of Energy grant to design a sophisticated circuit breaker for “microgrids,” or power grids that are on small, more localized scales. The researchers hope that the work will someday help allow critical infrastructure, such as hospitals and police stations, to keep running on their own tiny electric power grid during a massive power failure. “The microgrid exists to provide power separate from the main grid. In the event that the main grid goes down, the microgrid will detect something is wrong and disconnect,” said Ali Mehrizi-Sani, the lead researcher on the project and assistant professor in the School of EECS in the Voiland College of Engineering and Architecture. In a power failure situation, a microgrid sensor will detect a problem with voltage on the power grid, which might be anything from a tree bringing down a single power line to a major city-wide outage. Within milliseconds, the sensor will send a command to the circuit breaker switches to disconnect the microgrid from the main system. While such switches already exist, they are currently too slow to operate at the high voltage levels experienced in this type of situation—which is more than 20 kilovolts, Mehrizi-Sani said. The researchers are working to use an amplifier to increase the impedance, a measure of resistance to current flow, to bring down the current to a level that existing switches can handle quickly. They hope to test a prototype system at a naval shipyard in Pennsylvania in the next two years. Eventually, the researchers hope to create multi-microgrid systems that would be much harder to damage in a disaster than the traditional power grid. Because they would be decentralized, the systems could work independently of each other in a disaster. Addressing the critical national need for a reliable and secure electric power grid, WSU researchers are building the most comprehensive “smart city” laboratory in the United States to test smart grid technologies. Scientists have received a $500,000 grant from the M.J. Murdock Charitable Trust to build a city of the future in WSU’s engineering buildings, complete with simulated windmills, solar panels, fuel cells, power substations, and smart meters. 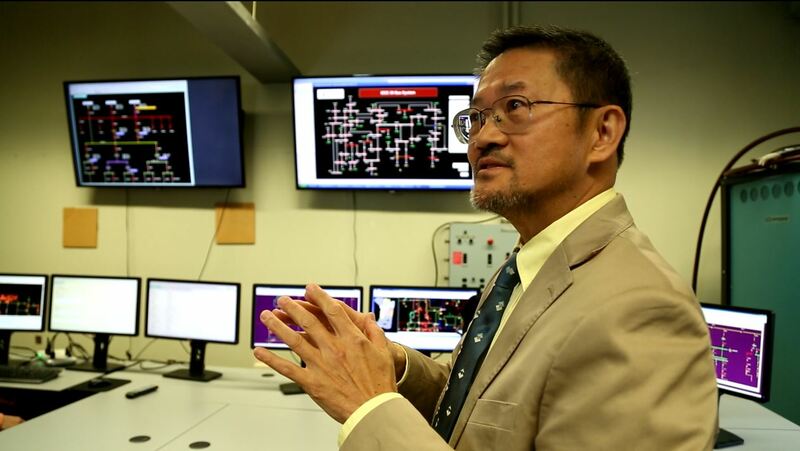 Chen-Ching Liu, director of WSU’s Energy System Innovation Center, in the smart city lab. Starting with the 2009 American Recovery and Reinvestment Act, the U.S. Department of Energy (DOE) began a $4.5 billion investment in smart grid technologies that included demonstration grants and workforce training at institutions and utilities around the country. With a long history and top-ranked program in power engineering research, WSU received support for a number of projects. Those include workforce development and participation in a DOE- funded smart grid demonstration project. Pullman is one of just a few smart-grid cities in the United States. Utilities are making and testing equipment upgrades for a smarter power grid, but the grid’s complexity doesn’t easily allow these technologies to be tested system-wide. Cities of the future will use more renewable energy to meet power needs. Solar and wind power are ramping up quickly in the United States, which creates technical issues and requires more flexibility from the power grid, Liu said. The smart grid will have to be more efficient and secure and will increasingly use computerized communications and automation. Features such as smart meters will provide feedback to utilities about customer choices and desires. The WSU researchers hope the test lab will help utilities answer questions such as how to better prevent and stop blackouts, save energy, and incorporate smart meters. The test bed will have comprehensive, advanced facilities for studying the power grid at the systems level and including complex interactions between subsystems and components. The scientists last year received a donation from Alstom Grid that provided software to do simulations of electricity transmission and distribution. In addition to the Murdock Trust, Avista Corp. and Itron provide support for the lab. The researchers will have the facilities to simulate automation, power substations, renewable energy devices, communication technology, and smart meters. The lab will include wireless links to smart meters at WSU Pullman. Research on smart meter data will enable development of demand-response programs that improve energy efficiency. 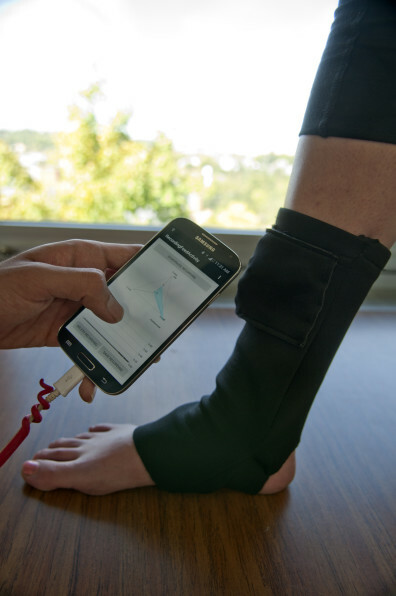 Washington State University researchers have developed a “smart” sock to track ankle edema, a symptom of many serious medical conditions, at home. The researchers hope the innovation will lead to a more cost effective, accurate, and easier way to track edema, an accumulation of fluids in the lower parts of the body that is often a symptom of heart or kidney failure. Although edema is an excellent health indicator, measuring it currently requires a doctor’s visit and is often done with a tape measure. Measuring edema continuously could also provide more useful information for doctors than sporadic measurements. 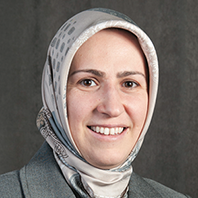 Led by Hassan Ghasemzadeh, assistant professor in the School of EECS, the researchers have designed a “Smart-Sock” that uses multiple wearable sensors to accurately monitor ankle circumference to keep track of edema. The researchers have a provisional patent on the technology, and hope to begin deploying the device in clinical trials this fall. The device contains two types of sensors—a motion sensor and a circumference measurement sensor. The circumference sensor measures changes in the physical girth of the ankle, while the motion sensor differentiates the posture of the wearer. Taken together, the device can interpret the data. When a person is standing or sitting, fluid tends to move down to the ankles, whereas when a person is lying down or reclining, fluid tends to move to a more equalized distribution. “When it comes to monitoring ankle edema, it really matters what the current body posture is when you’re measuring circumference,” said Ramin Fallahzadeh, a doctorate student working on the project. The researchers are developing an app that would take the sensor data from the device, determine its relevance, and then send the relevant information to either a desktop or phone. They are also working to include sensors to detect abnormal gaits of the patient. And, they aim to make the sensors embedded in the sock disposable, so users don’t have to wash it.